Compare credit union auto loan rates to save on your next loan. Overall, credit unions offer the best auto loan rates, which can save you money now and over time. Much like banks, credit unions decide to issue loans depending on your credit, your employment history and your income. Here’s a roundup of some of the top credit union loans for cars — offering the lowest auto financing rates, the best terms, the best credit union auto loan rates and the overall best auto loans to its members. Additionally, if you get a loan from a credit union you likely won’t be surprised by any hidden costs associated with auto loans. Use this chart to find the best credit union auto loan rates, including used car loan interest rates from local credit unions and federal credit unions — all of which offer both new and used car loans. Before choosing which credit union to take out an auto loan with, take the time to compare the APRs and loan terms. Most credit unions require you to meet certain qualifications to apply for a loan, so be sure you qualify before applying. 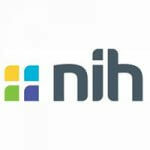 The National Institutes of Health Federal Credit Union, serving the biomedical industry, provides its members with flexible terms and low rates for new, used and refinancing of auto loans. You can join the credit union if you’re a member of the healthcare or biomedical industry in Maryland, Washington D.C., North Carolina, Virginia or West Virginia — or if you’re a family member of someone enrolled. Perhaps one of the best NIHFCU loan features is its online application process, which takes just a few minutes to generate results. Serving members in all 50 states and the District of Columbia, as well as military bases in Guam, Puerto Rico and Okinawa, PenFed Credit Union offers its members substantial options for car financing. You can join if you’re a member of the U.S. military, an employee of the U.S. government or other qualifying organization, or if you belong to a group like the National Military Family Organization or Voices for America’s Troops. This credit union also offers an online car-buying service tool. This tool allows members to search for new or used cars and get a variety of information such as its value compared with the asking price, as well an alert showing any PenFed discounts available. Additionally, interest rates on auto loans drop to as low as 0.99% APR on cars purchased through PenFed’s car buying service. The State Employees’ Credit Union has valuable auto financing products for members who are looking for new or used cars. 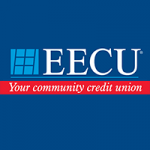 SECU’s Auto Power Program essentially gives approved customers a blank check, up to a certain dollar amount, so that they can buy a car without ever stepping into a credit union. Members include North Carolina state employees, federal employees who work in conjunction with the state, public boards of education employees, and those who serve the North Carolina National Guard. 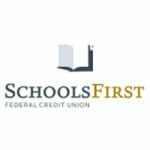 SchoolsFirst Federal Credit union offers many financing options and deals for its members. The credit union is partnered with companies like Autoland and Enterprise to bring customers exclusive savings. It also offers discounts on Guaranteed Asset Protection insurance and options for no payment for 90 days. Along with all the different ways to save, SchoolsFirst also gives borrowers the choice of how to apply for a loan: online, on the phone or in person. Members include current and retired school employees and their families. 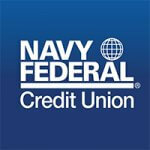 Navy Federal Credit Union offers excellent car loans for financing new cars. You can join if you are affiliated with the military, Department of Defense, Coast Guard or National Guard. Borrowers can apply for a loan online and if they receive a preapproved loan, they can request a letter of guarantee to bring to the dealerships. Other benefits available to members include access to GAP — guaranteed auto protection — insurance. Members of Foothill Credit are eligible to get its competitive rates on new and used car loans. Members who opt for auto payment will receive a 0.50 percent discount for auto payment from a Foothill checking account with direct deposit, or 0.25 percent discount for auto transfer from a Foothill share account with direct deposit or payroll deduction. School and hospital employees will also receive a 0.25 percent APR discount. Foothill Credit Union members also get the convenience of applying online and receiving preapproval within minutes. You can join if you are an employee or family member of a qualifying organization or a member of certain clubs or associations. NASA Federal Credit Union offers flexible terms and low rates for new and used car financing as well as for auto loan refinancing. Members include current and retired employees of NASA Headquarters, any NASA Center or Facility or NAS, plus employees or members — and their families — of one of NFCU’s partner companies or associations. Members can apply online and get preapproved quickly. By having financing already in place, members have the advantage at the car dealership because they can focus on negotiating the car price instead of the loan terms. 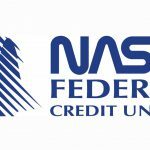 NASA Federal also has a credit protection product available to its members. 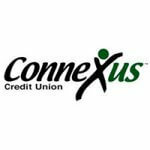 You can see how much you’d pay for a general loan with the Connexus Credit Union’s free online loan calculator tool. If you want to become a member you’ll have to be a current, former or retired employee of an employer group; a resident of certain communities, a family member or housemate of an existing member; or a member of the Connexus Association. 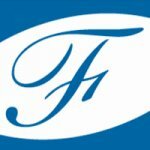 This Florida credit union serves up a variety of vehicle-related products to help its member save money. You can join this organization if you live in one of the eligible Florida counties listed by the credit union, you’re an alumnus of Florida College or a family member of someone who does qualify. 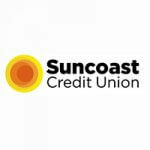 Suncoast will preapprove you for a loan online so you know what your budget is when you walk into a dealership. In addition to financing and selling cars, Suncoast’s Member’s Roadside Advantage Assistance program covers up to five service events per year, including a dead battery or a flat tire. Randolph-Brooks Federal Credit Union provides online help to members who are preparing for buying a used car or new car, with online calculators to help determine how much they can afford to borrow and whether a new or used car is the best financial choice. Randolph-Brooks also offers mechanical repair coverage and GAP Plus. Become a member if you’re affiliated with the military, live or worship in certain areas of Texas or are a family member of someone who qualifies. EECU offers competitive rates with great terms, and you can get preapproved before you visit a dealership so you can negotiate the best deal. If you have a used car loan, consider refinancing it with EECU for a better rate and lower monthly payment. You are eligible for membership if you live or work in certain Texas counties; work for any educational institution, business, association, hospital or municipality in the Fort Worth, Texas area; are related to someone who is a member; or offered membership from one of EECU’s select employer groups. 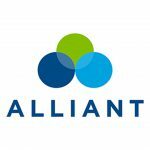 Alliant Credit Union offers both new and used auto loans with same-day approval and refinancing options. Plus, you can save on interest by paying off your loan early — and Alliant won’t charge any prepayment penalties. You can join if you are an employee or family member of a qualifying company, live or work in certain Chicago communities or donate to become a member of Foster Care to Success. Alliant also has a car-buying service in partnership with True Car. The way it works is that buyers look for cars online through the Alliant Car Buying Service website. The advantage of this program is that a member gets to see how much money others paid for the new car he wants. You can also get used car market values via ClearBook. Click through to find out how to get the best auto loan rates. Gabrielle Olya and Ruth Sarreal contributed to the reporting for this article. Methodology: Credit unions were ranked in order of lowest auto loan APR available to highest. APRs are current as of Nov. 23, 2018. Rates are subject to change at the lenders’ discretion.